4k00:094K Aerial of solar sun farm in UK. Sunny day at renewable energy panels green power plant. British views in countryside UK. 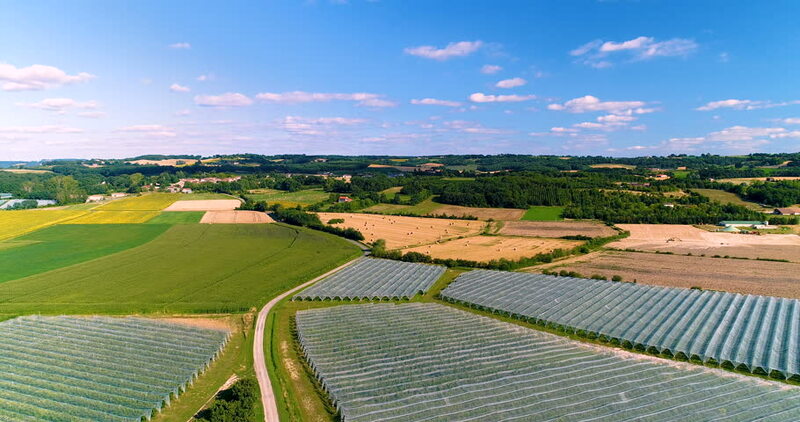 hd00:29Aerial shot of fields with various types of agriculture. California farming in beautiful West coast countryside. Napa Valley wine country. 4k00:27Portland Aerial Sauvie Island v54 Flying over large nursery panning down.